Here at DM Dance Centre we offer all of our students, young or old, the opportunity to take medal test exams with the International Dance Teachers Association (IDTA), one of the world’s largest examination boards, covering the full spectrum of dance examinations on a global scale. If you already attend our social group classes, then you would be perfectly positioned to take a Social Dance Test award, as this is the entry level examination. The best way to prepare and further your success is through one-2-one lessons. This way we can assess your dancing ability, and ensure you are dancing the correct figures for each level and that your technique and performance is at the necessary standard. 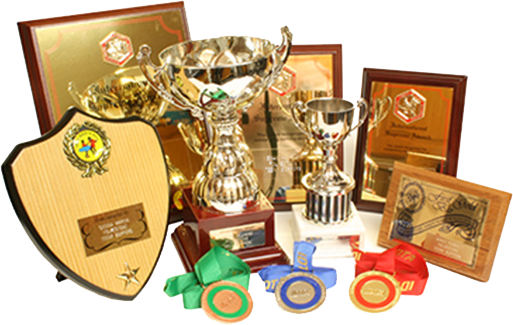 The IDTA medallist system follows a progressive programme of medal tests starting at Social Dance Award and ranging right up to International Supreme Award. Each level has a set syllabus of figures, and you would be required to show most of these with a quality of proficiency and technique expected at that level. You are required to dance a minimum number of dances in each test, which can range from 1 to 4, and the cost varies from test to test. Medal tests provide an opportunity for a dancer to develop their style and technique which can lead to a greater understanding of their dance style. Furthermore, they can help to promote enjoyment and improve a dancers performance. These tests are designed with social dancers in mind who wish to study dance on a recreational basis and improve their technique, but they can also form the basis for students wishing to pursue a career in dance. Medal tests are not danced solo, but with your teacher or a partner. If you and your partner both choose to be examined, then you will be marked individually. All of our examinations take place at our Portswood studio, along with an IDTA examiner assessing your performance and making notes. After the examination, you will receive your marks and a copy of the examiner’s notes and a few weeks later you will receive a medal and a certificate. We beleive the medal test system to be the best way to get the most out of your dance career, setting you clear and achievable goals. Are you an experienced dancer with medallist or competitive experience and want to take your dancing to the next level? Do you like the idea of a career in dance? Or are you just interested in pushing yourself and knowing more of the technical sides of Ballroom, Latin, Freestyle, Street, Sequence or Line Dance? We train expereinced dancers and already professionals to gain further qualifications in dance with the IDTA. The training is very specialised and requires the candidate to be committed, focused and determined to achieve the highest grade possible to demonstrate their ability to become a dance professional. Training to the required level can take some time and dedication but is highly rewarding once achieved. A thorough understanding and ability to demonstrate the dance style to a high standard is necessary. Philip Diment (DM Dance Principal) is an Examiner with the IDTA as well as being on the Board of Directors and a Past President. He has over 30 years experience of training future dance teachers and fellow professionals to be examiners themselves. At DM Dance we want to ensure your examination is the best experience possible. If you have any queries about our examinations, please contact us.